Exceptionally tall for a bantamweight (5ft. 7 3/4 in. ), his physique belied his considerable knockout power. Nonetheless, Harris was known as "The Human Hairpin." Born in Chicago, IL., he turned pro in 1896 and his fighting style was greatly influenced by Kid McCoy, who taught him the famed "corkscrew punch." An excellent jabber and two-handed puncher, Harris battled bantamweight champion Jimmy Barry to a controversial draw in 1899 that effectively ended Barry's career. On March 18, 1901 in London, Harris challenged and shocked British fans while gaining a 15-round decision victory over Pedlar Palmer and the world bantamweight title. 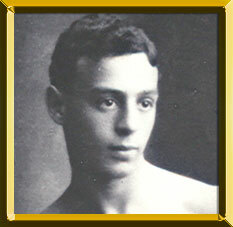 Harris' last contest was an 8th round win by foul over Tommy Murphy in 1907. In an 11-year career he was never knocked out. Upon retirement he became successful in the theatre and a Wall Street tycoon. He died on June 5, 1959 in New York City.